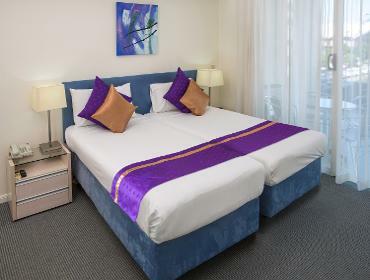 Park Regis City Quays offers modern and stylish hotel rooms as well as one and two bedroom self-contained apartments - all with individually-controlled air conditioning! Park Regis City Quays offers a beautiful rooftop pool to help you relax and recharge, or can assist you with any other health & fitness service or facility you wish to find in the area. Day Spas Cairns has number of day spas to choose from, speak to our staff for assistance. Hair Salons Our friendly staff can assist you with finding a hair salon in the area to suit your style and budget. Rooftop Swimming Pool Take a refreshing dip in the hotel's own Rooftop Swimming Pool! Fitness Centres When travelling sometimes the over-indulgence can catch up with us all, so if you feel the need to burn some calories, a workout is just a few steps from the hotel. 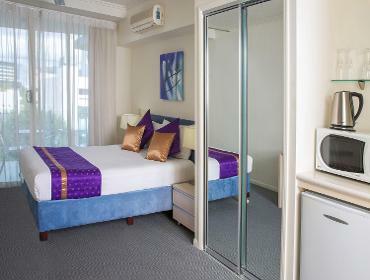 Meetings & Conferences Cairns Convention Centre is conveniently located directly across the street from the hotel. Business Services Park Regis City Quays offers essential services to both our business and leisure guests who may require assistance. Park Regis City Quays is happy to assist you in finding the perfect place to eat or drink. Restaurants & Cafes There are a number of great places to eat in Cairns, just ask our friendly staff to assist you or see the hotel's recommendations. Bars Cairns has a multitude of bars to keep you busy until the sun comes up! 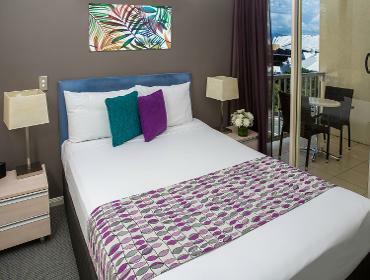 Award-winning Cairns Convention Centre is conveniently located just minutes from the hotel. Functions + Events Award winning Cairns Convention Centre is only ten minutes from the Cairns International Airport and is renowned for its unique environmental design.